As promised here is the recipe to this amazing hummus! 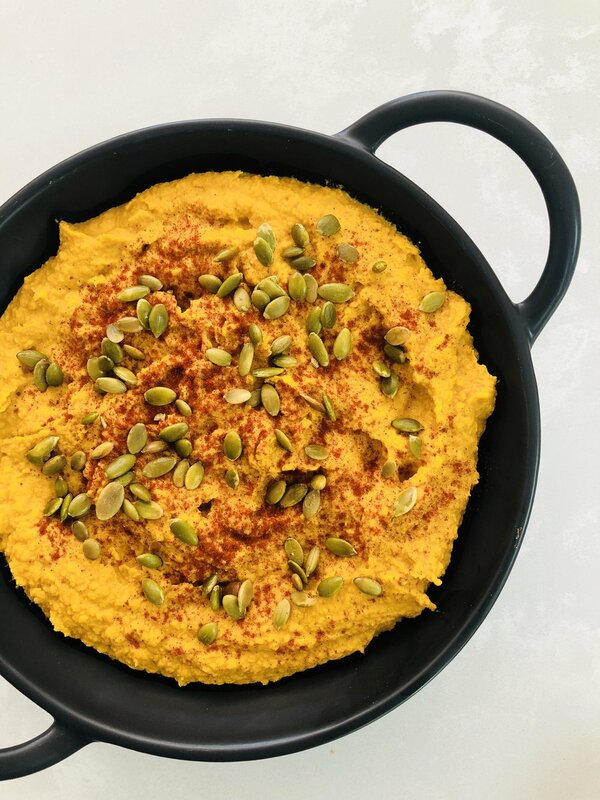 Smoked paprika, carrot and pumpkin hummus...yes, you want the recipe and yes, you will devour it all! Add a small amount of the chickpea liquid, known as aquafaba, to help blend if needed. Top with some toasted pepita seeds and smoked paprika. Enjoy with friends...or on your own if you don’t want to share!